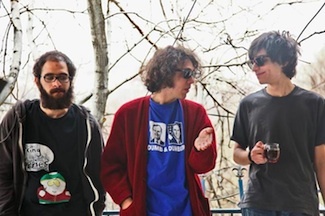 The Muckers are an Indie Rock band from Tehran,Iran formed in 2011. Influenced by the new Indie Rock and Post-Punk scene they began composing songs and doing concerts. The band has recorded a number of singles and is currently working on it's first album. Current Members: Mani Tabibzadeh (Vocals, Guitars), Amir Mohsseni (Guitars), Sadra Farvahi (Bass), Kamiyar Keramati (Synthesizer), Arash Nourozi (Drums).